The biggest horse race of the season at Santa Anita Park, outside Los Angeles, takes place Saturday. The Santa Anita Derby is an important qualifier for the Kentucky Derby, and there’s a million dollar purse. 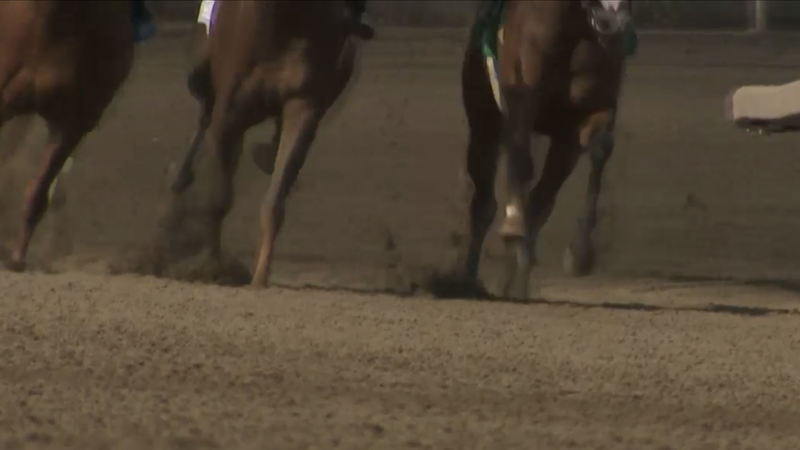 The race will be run despite a call by Senator Dianne Feinstein to shutdown the park after a spate of horses have died on the track. Earlier this week, reporter Ben Bergman talked with people at Santa Anita. Here's his report. ARCADIA (CNS) - Animal rights activists are calling for the governor to form a panel to investigate training and veterinary practices at California race tracks after another racehorse died at Santa Anita Park, the 23rd equine death at the facility since Dec. 26. Horses at Santa Anita Park were allowed to exercise on a small training track adjacent to the facility's main track. The main track has been closed since Tuesday, after a 21st horse in less than three months had to be euthanized from injuries received working out on the track. More from KVCR's Ken Vincent. Racing remains suspended indefinitely,, but horses have resumed training this morning at Santa Anita Park. Training is restricted to the smaller inner dirt track, while the main outer race track remains closed, as tests continue on that surface. existing safety measures and current protocols,'' during the closure.